Since 2011 people who enjoy playing mobile casino games have been able to play the Adventure Palace mobile casino game. This game is based on a theme of animals that can be found in the jungle. Players not only get a chance to win when they play this mobile casino game, they also get to enjoy the sights, sounds and feel of exploring the jungle and all of its surroundings. Adventure Palace Mobile casino game is a 5 reel slot machine that offers 9 pay lines. The maximum jackpot offered by this game is 50,000 credits. A player can play as little as 1 credit up to 45 credits. The more you bet, the more you can win. There are plenty of jackpots besides the maximum jackpot. Matching these symbols on a pay line will produce a winner. The different symbols will pay out varying amounts that depend on how many symbols are matched. If you get 5 tigers you can win a jackpot of 750 credits. That is nice, but it is only one of the ways for people to win on the Adventure Palace mobile casino game. In addition to matching the symbols, there are other ways for players to increase their jackpot. A wild symbol can be used to replace any other symbols. If you get 4 tigers and a wild symbol, your jackpot will double. That wild symbol is the elephant and it definitely is lucky for the player. A scatter symbol is also in the game. When you match the temples on the screen, you are matching the scatter symbols. Three, four or five of these symbols can be matched anywhere on the screen. You do not have to worry about pay lines with this symbol. 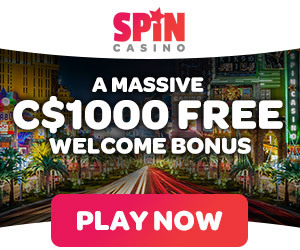 You will not only be awarded for having the scattered symbols, you will also receive 15 free spins that will multiply any jackpot won 3 times as they are played. Adventure Palace mobile casino game offers gamblers a real chance to play. Every time a player has a winning spin, they can risk their winnings. After winning the player can choose red or black. If their choice matches the computer they will double their winnings. If they risk it a second time, they can quadruple their winnings. It truly adds to the excitement of a slot machine game. If you are ready to start playing the Adventure palace mobile casino game, all you have to do is follow these 4 steps.